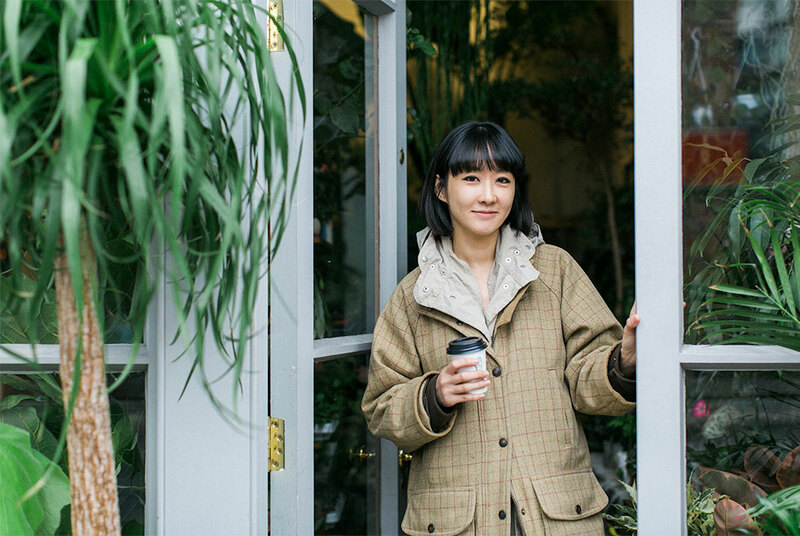 Jin Ahn moved to the U.K. to improve her English skills – and to take a break from her career as a fashion designer in her home Seoul, South Korea. 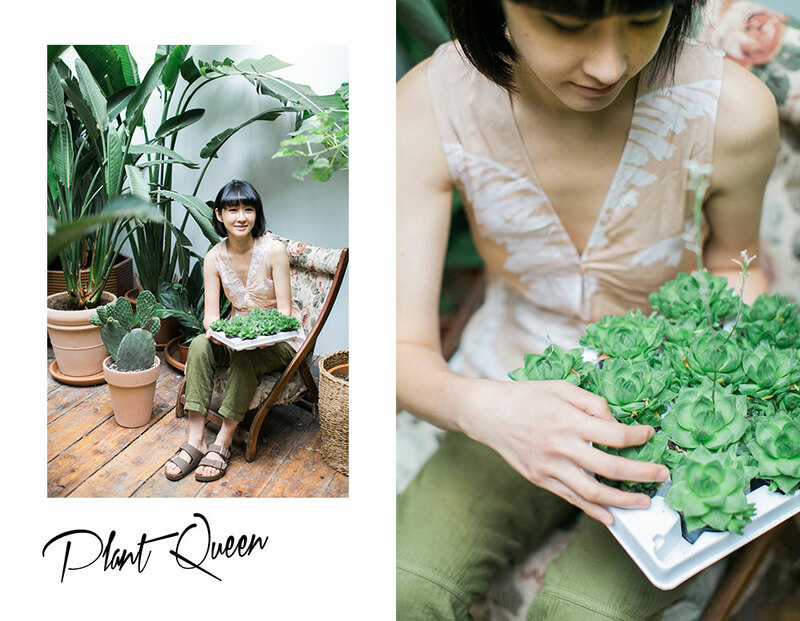 Once she fell in love with the British countryside she knew she wanted to work with plants. 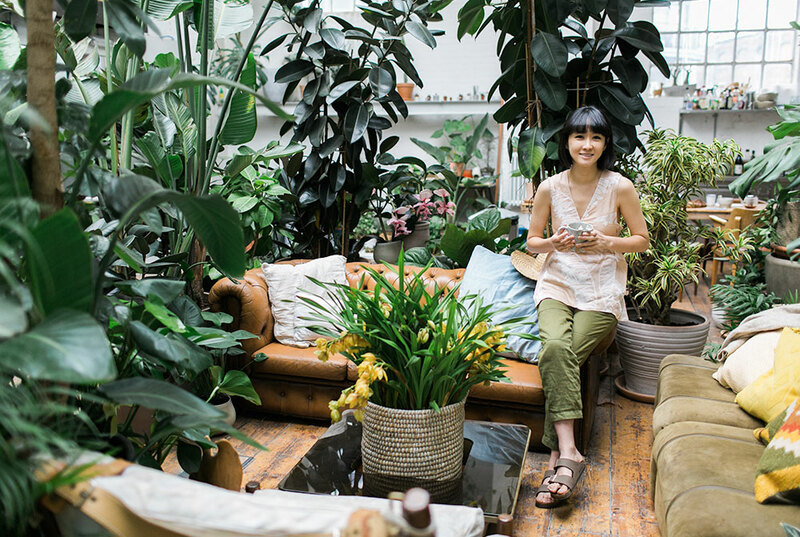 First, Jin thought she wanted to be a gardener, but the English weather led her to indoor gardening. 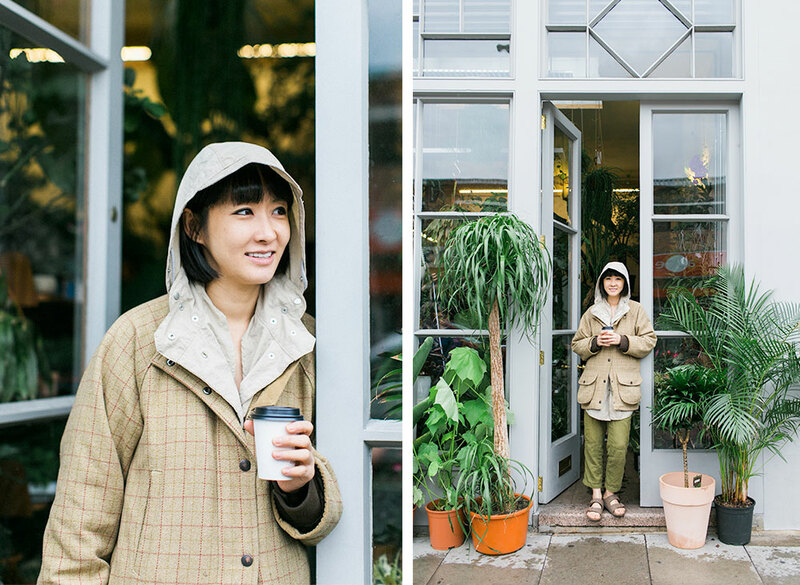 Today, the 36-year-old successfully runs the store “Conservatory Archives” in Hackney, East-London, together with her partner Giacomo. 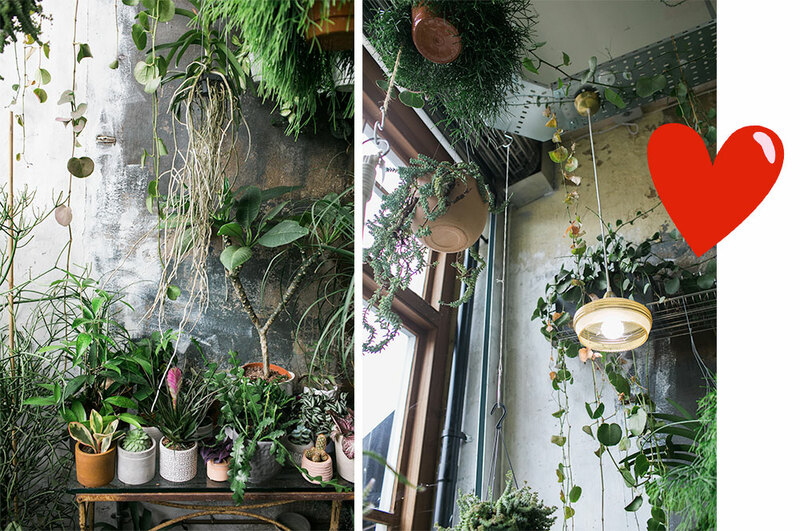 The store has become a mekka for plant lovers from all over London – and an instagram sensation. We visit the qualified horticulturalist Jin in her unusual, marvelous home in a former warehouse and in her store on Hackney Road. Hier findet ihr diese Story auf Deutsch! femtastics: You came to the U.K. in 2010. Why? Jin Ahn: When you‘re around 30 years old, as a woman, you begin to think about your future: do I want to get married? Do I want to start a family or to focus on my career? I was fed up with working in fashion and wanted something different. I did not see my future in the fashion industry. Actually I moved to Edinborough first, to study English. Just to take a break. I stayed there for about a year and then moved to Essex, in the countryside. In Essex I studied Horticulture at Writtle University College. 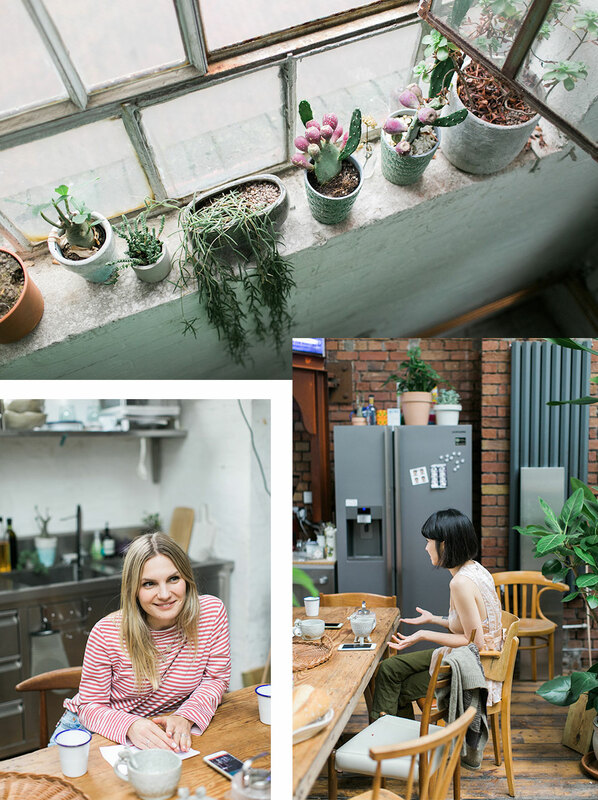 The former warehouse which hosts the Conservatory Archives studio and the home which Jin shares with her partner. I think, if you live in the UK you have to be inspired by nature! 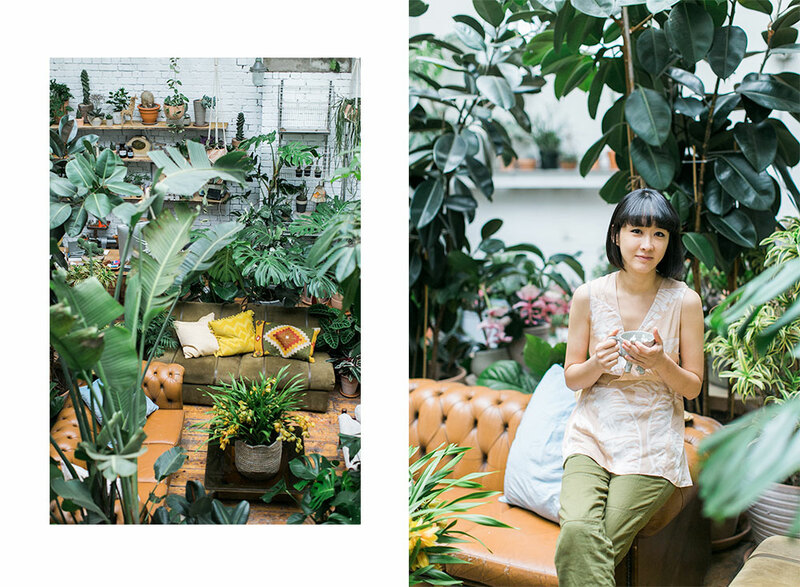 Open space: Jin and her boyfriend live on the upper level – with numerous plants! You wanted to start over completely? Yes, I wanted a new education – and to improve my English along the way. 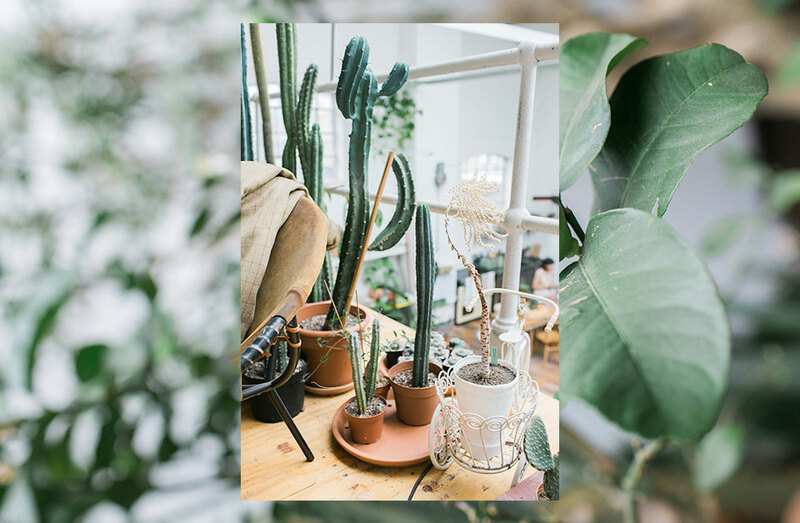 What got you interested in plants and indoor gardening? That happened when I was living in Edinborough. I often went to the Botanical Garden in Edinborough and that inspired me a lot. I think, if you live in the UK you have to be inspired by nature. I come from a huge city with a lot of concrete. And I thought: If I can work with nature, I‘ll live happily ever after (laughs). So your love for plants started in the U.K.? Well, my mother has always loved plants and she has always had a lot of plants in the house. But I never thought that plants could be a job. I never considered becoming a gardener. I have always been a city girl and it was difficult for me to work in the rain. So I thought about indoor gardening. How did you come up with the idea for Conservatory Archives? When I was finishing my degree, I did not think about opening a shop. I was planning to work in a botanical garden or a garden centre, or to work as a private gardener. But I found myself struggling with working outdoors. I have always been a city girl and it was difficult for me to work in the rain. So I thought about indoor gardening. 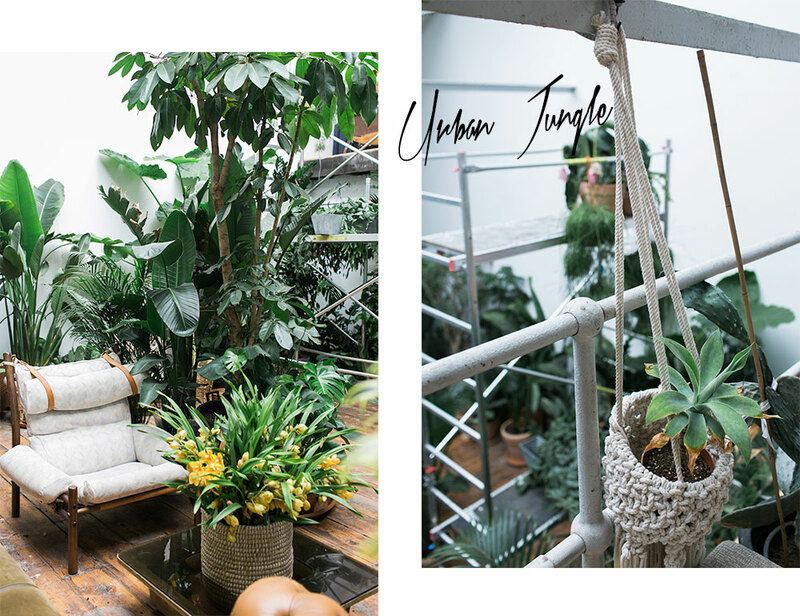 And since I love furniture and design I got the idea to open a shop: to sell furniture and plants, maybe also coffee – I was very ambitious (laughs). Now we‘re only focussing on plants, because that went so well. Who are you working with? How big is your team? We started as two: me and my partner. 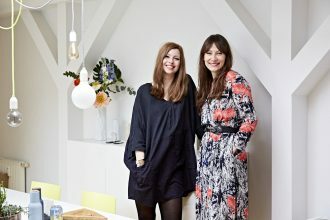 Now we have two more team members: one downstairs in our studio, one in the shop. 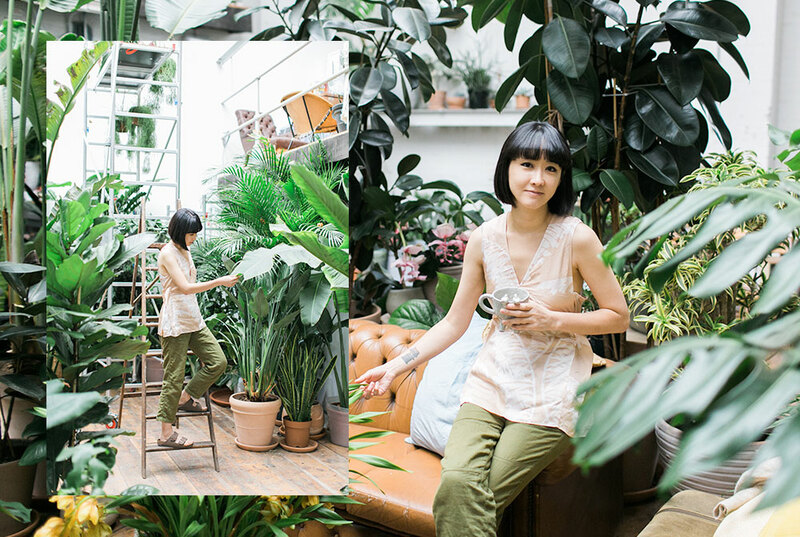 Since Jin loves vintage furniture almost as much as she loves plants, there are beautiful vintage pieces everywhere in her home. 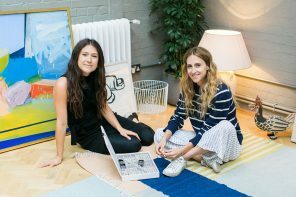 How did you finance opening the shop? It‘s difficult, because property prices in London are crazy. I was very lucky that I found this shop. My landlord is wonderful and charges a reasonable rent. In the beginning, we struggled a bit, but now we are quite stable because we have several maintenance contracts which provide us with a regular income. 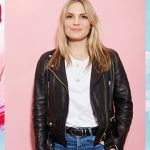 Did you plan to open the shop in East London? 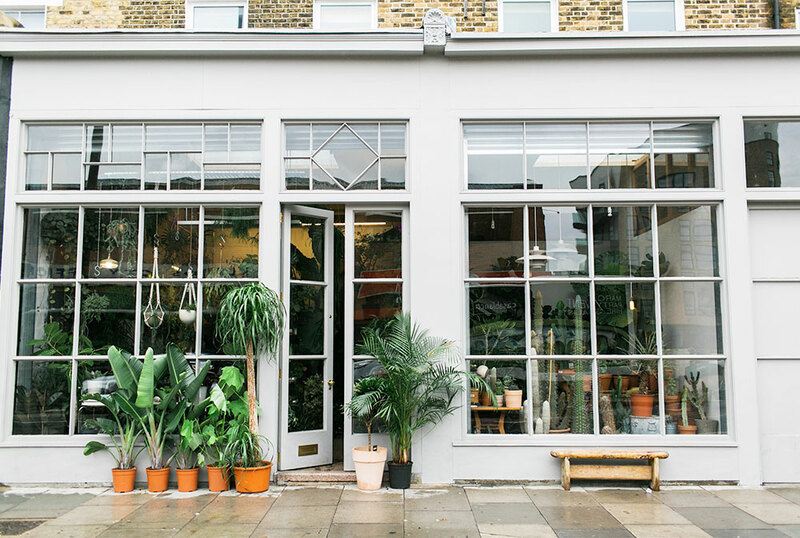 I looked everywhere in London, but I eventually decided to open my shop here because East London is a lot cheaper than many other parts of the city. And I did not want to go further out. 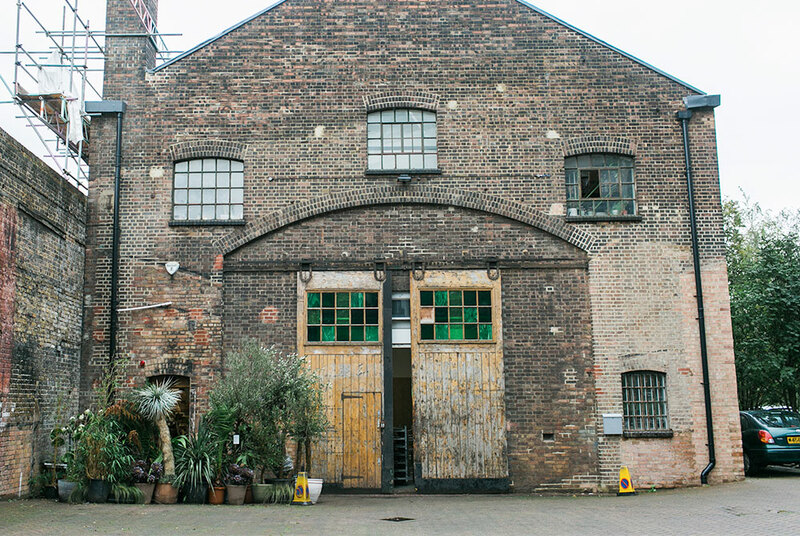 Also, people in East London are very diverse and creative – which is great! In South Korea what you look like and how you dress is very important. People are obsessed with cosmetics and plastic surgery. It is all about being more beautiful, especially as a woman. What do you like about living and working here? I come from a totally different background. I think here, as a woman, you do not always need to think about your appearance. In South Korea what you look like and how you dress is very important. People are obsessed with cosmetics and plastic surgery. It is all about being more beautiful, especially as a woman. Here, I feel like, people just see me as a person with a character. That‘s nice. Does it feel liberating for you? Yes, absolutely. Here, I am a lot more relaxed. I go outside without makeup or wearing my work clothes. After all, we are gardeners, we work with our hands. 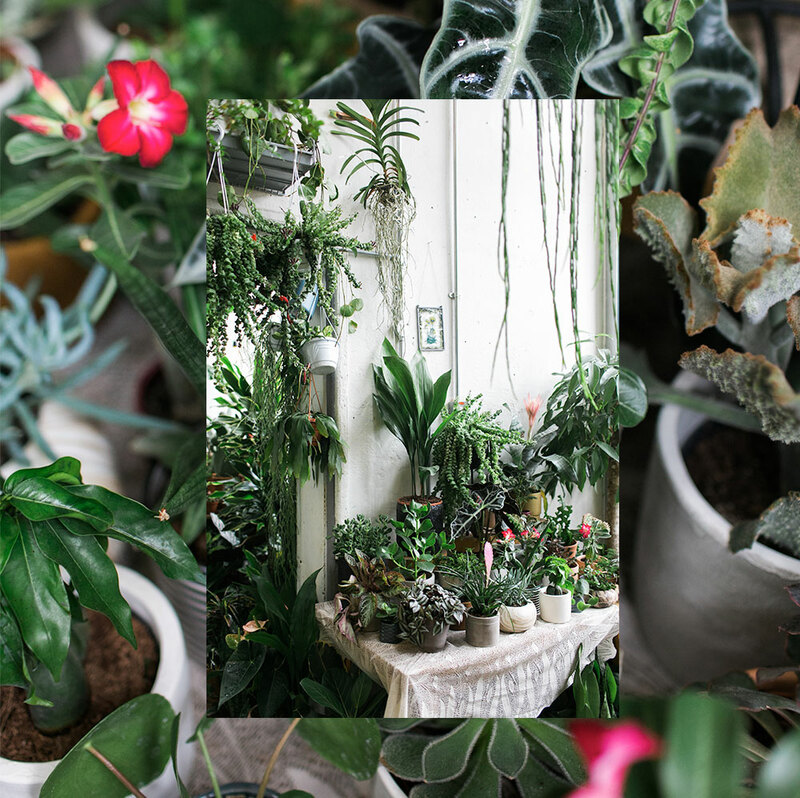 Where do you find all these plants? They mainly come from Holland, Denmark and Belgium. We have been to Holland and Belgium many times to meet the growers, whom we work with. But to get the plants here every week we need an agent who handles the transportation. 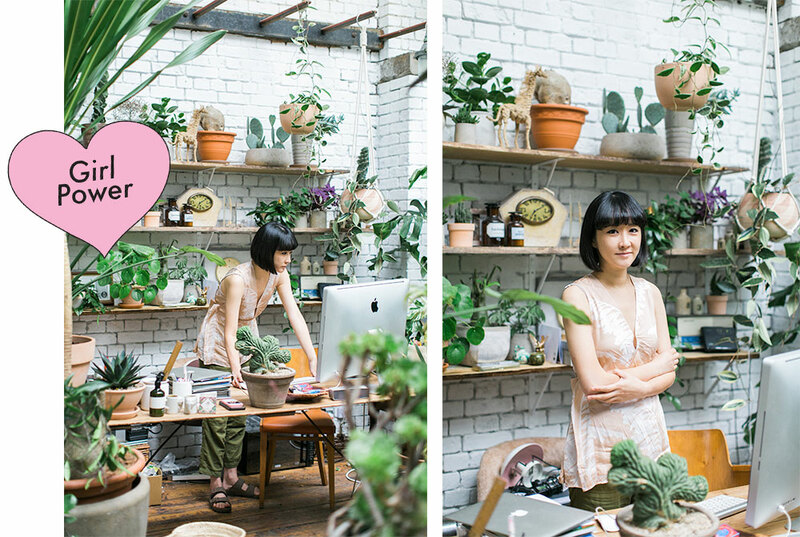 Jin’s workplace is almost hidden behind all the plants. 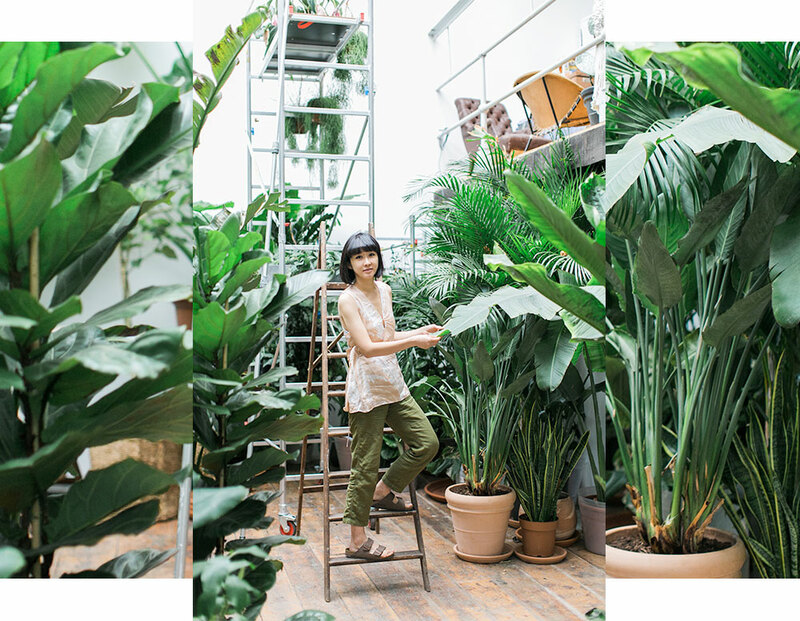 “We have sold thousands of Pileas in our store”, says Jin. This plant is, obviously, very much in demand. How often do you get deliveries? Twice a week. One here and one in the shop. 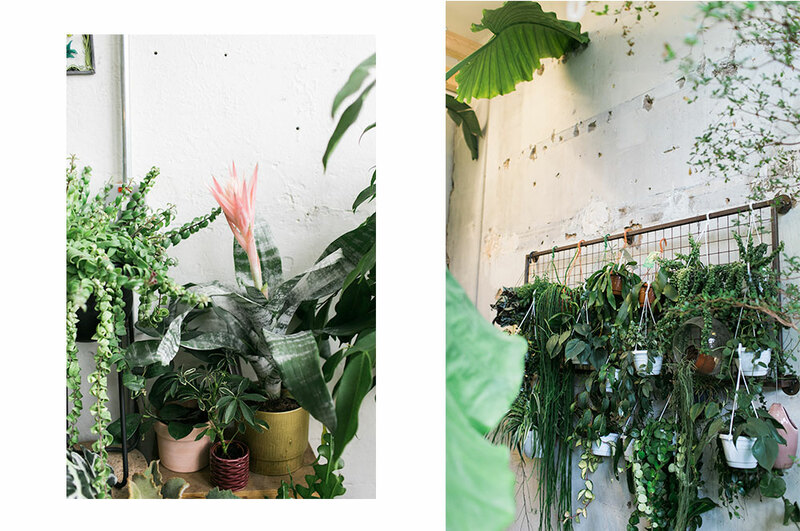 We currently have a pop up shop at Liberty, so we need even more plants. What kinds of plants do you look for when you place an order? We have order lists with all the names of the plants, the sizes and so on. 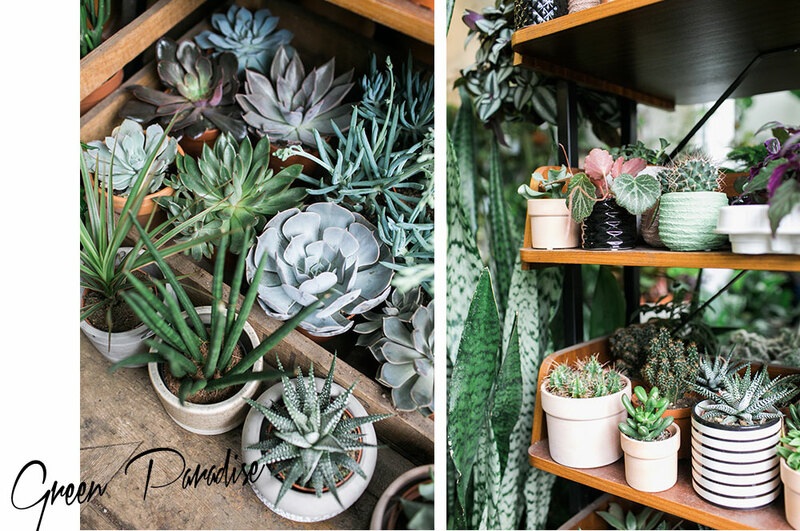 When I order plants, I think about the shop and how to display the plants. I always need small plants for the shelves, medium sized plants for the floor, etc. Our shop has become somewhat of an instagram location, so I‘m under pressure that the shop always looks good (laughs). I always try to order different plants each week, so that people keep coming back for new things. I want people to stay curious. 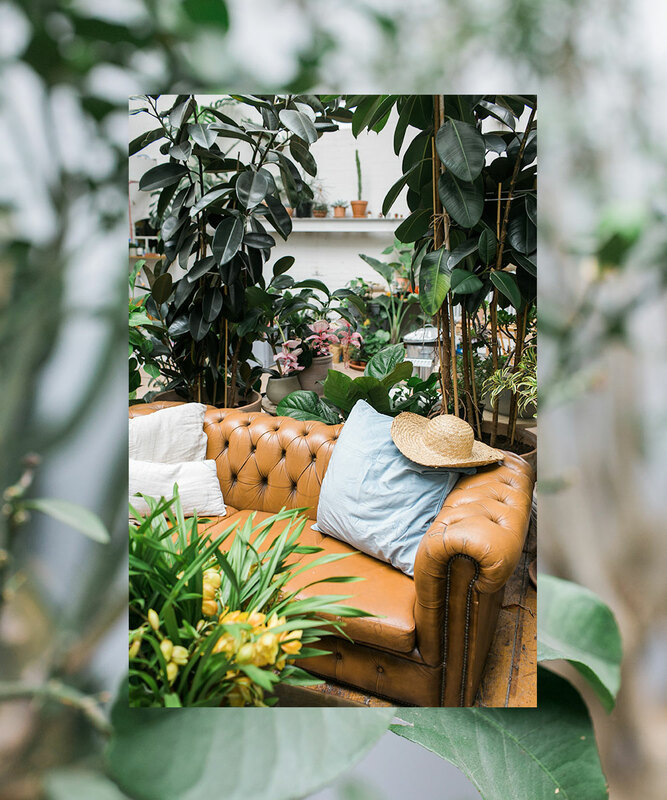 Are there any upcoming plant trends you have discovered? 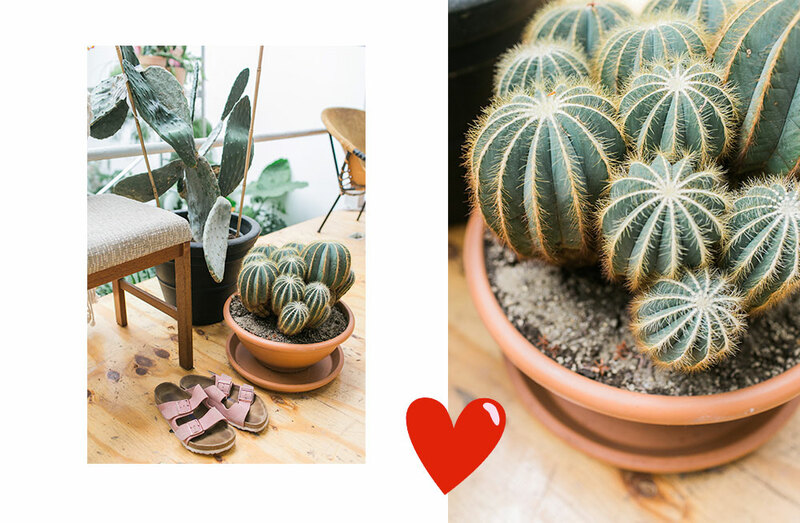 What‘s the next big thing after cactuses, succulents and monsteras? Pileas, also called „Chinese money plants“, are very popular in our shop at the moment. I don‘t know how many we sold last week. 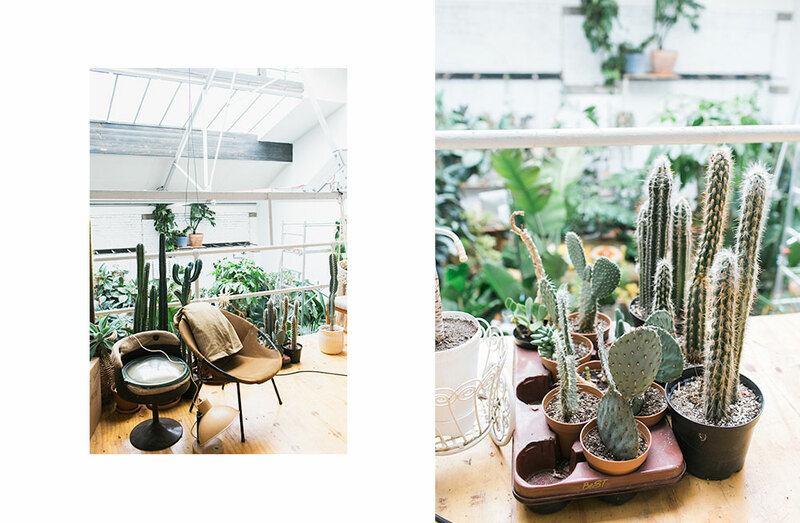 But it‘s strange … plants seem to become very popular because of instagram or pinterest. And sometimes I ask people: Why don‘t you look at something else? There are so many different plants! I like plants with lots of branches which look like sculptures. 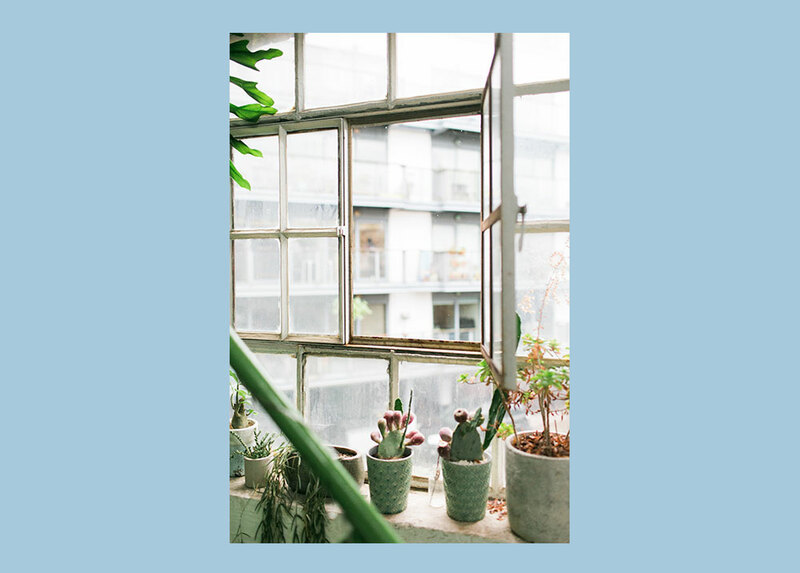 How did you learn all these things about plants and about how to care for them? 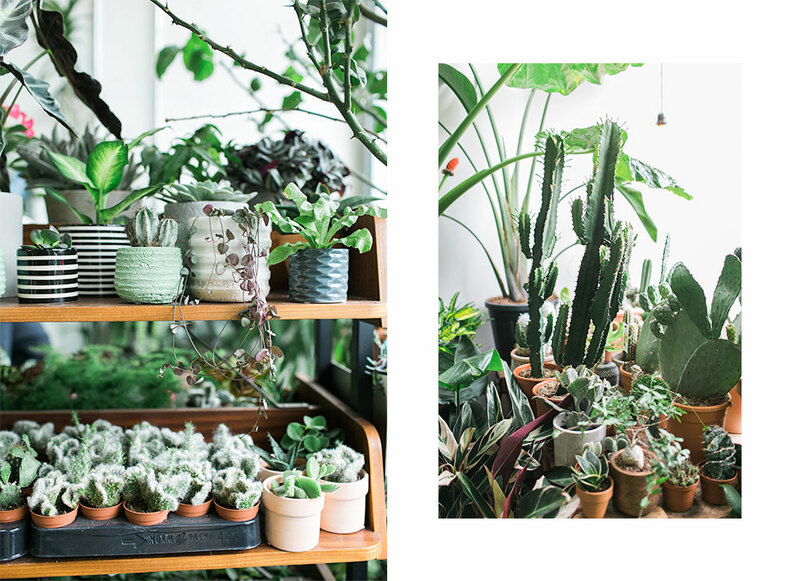 When I was living in Essex, I bought a lot of plants and I also read a lot of books about plants. But I‘m still learning. 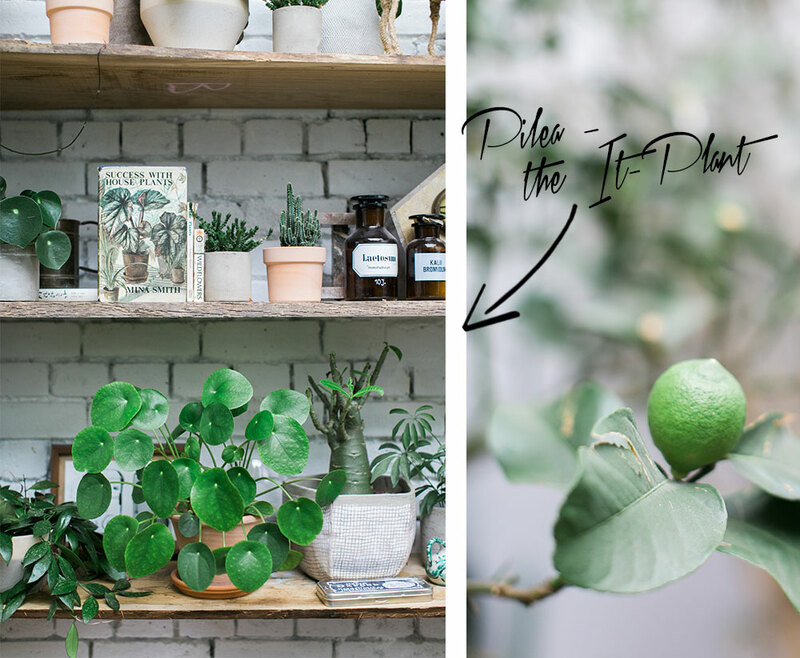 I have never had so many plants before – who has? Since business is going well, I have more and more plants coming in, and I learn faster. Is it difficult to take care of so many plants? It is part of my job and I enjoy it. 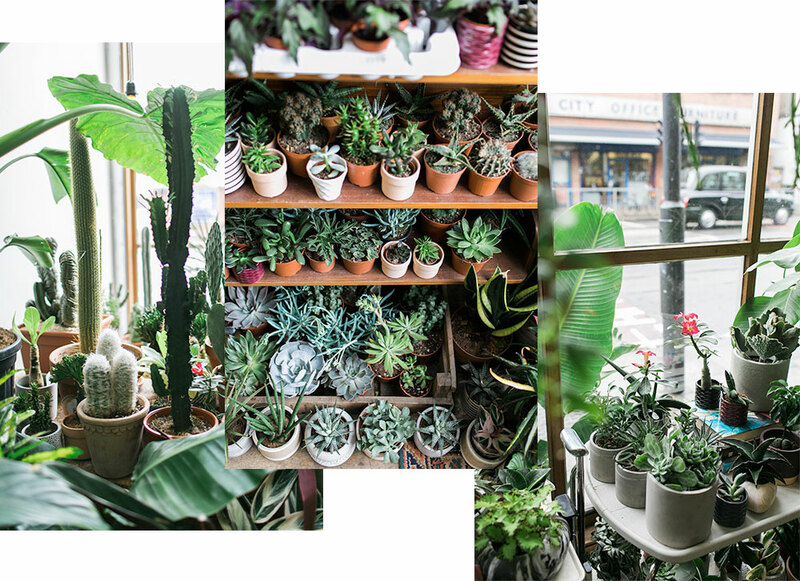 Also, the plants in the shop sell quite fast, so I never have to take care of them for long. Conservatory Archives on Hackney Road in London. Our shop has become somewhat of an instagram location, so I‘m under pressure that the shop always looks good. What kind of customers come to your shop? All sorts of people. London is so mixed and diverse – that‘s so interesting! Do the customers tell you about their homes? I always ask. 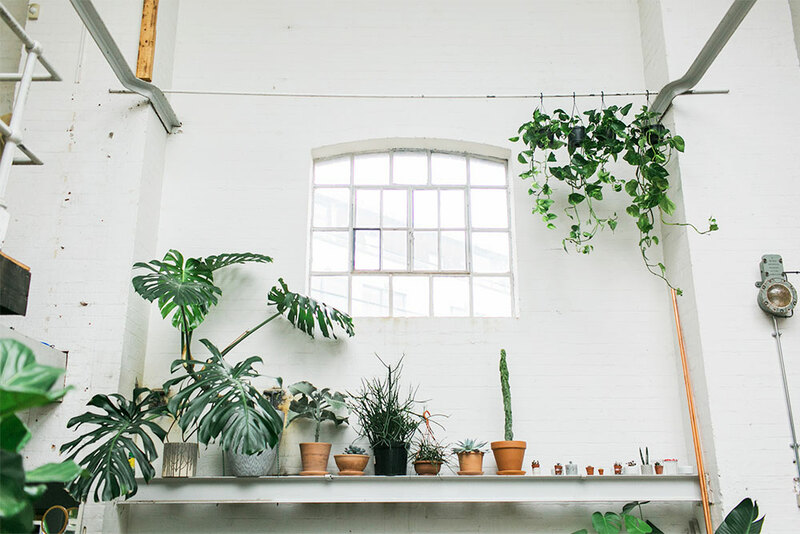 When somebody wants to buy a plant, I have to ask how they live. How many windows do you have? How much light is there? How much space do you have? And I always explain to people what the plants are eventually going to look like, in a couple of years. That‘s important to know when you buy a plant. How do you divide your time? Are you in the shop every day? We are very flexibel in this regard. But I hardly work on plant maintenance anymore, I mainly deal with emails, writing proposals, sending invoices and ordering the plants. I am not in the shop every day anymore, because we work on so many projects. Every time I get a new project I always try to do my best and to use even more impressive plants. You also work on indoor gardening projects. We work with many interior designers and architects. But we don‘t really do private homes, we mainly work with companies. Every time I get a new project I always try to do my best and to use even more impressive plants. The good thing is that many clients come back to us. 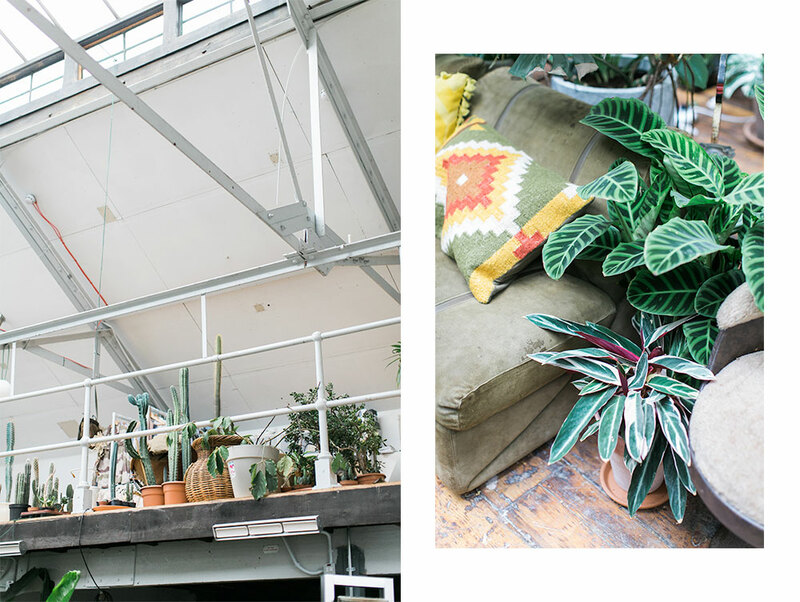 We have done the plant design at ACE Hotel in Shoreditch – all the plants in front of the building, on the roof top and everywhere in the hotel. We have also worked with many local cafés, restaurants and shops. Do you have a dream project you would like to realise one day? I would love to realise a project in my country. Maybe working with a British company in South Korea. I would be very proud to go back there with my work. Do you still go to South Korea from time to time? I have not been back there since my studies in the U.K.. We have not had a holiday yet and we work almost seven days a week. Not our employers, but me and my partner do. The shop is open on Saturdays and Sundays, we are closed on Mondays, but that‘s when we do all the maintenance and administrative work. Do you have any plans for Conservatory Archives? 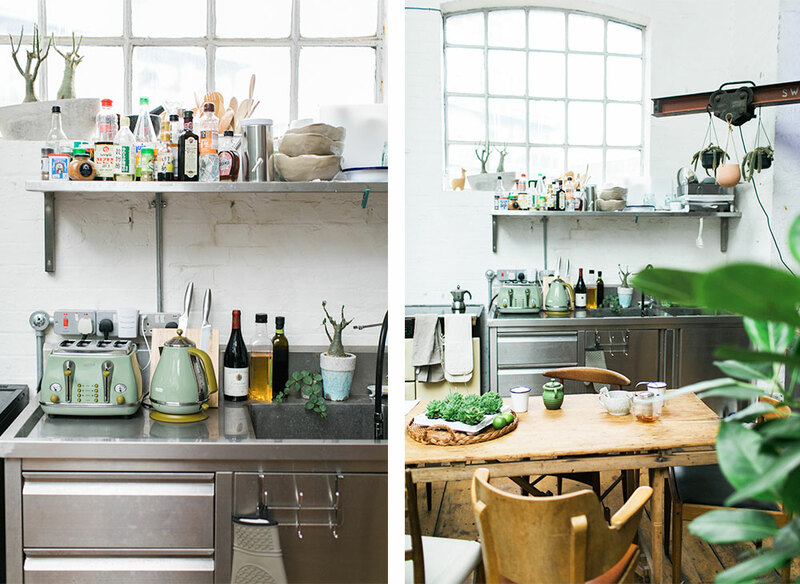 We are dreaming of opening a second shop – either in the U.K. or in another country, maybe in Germany. 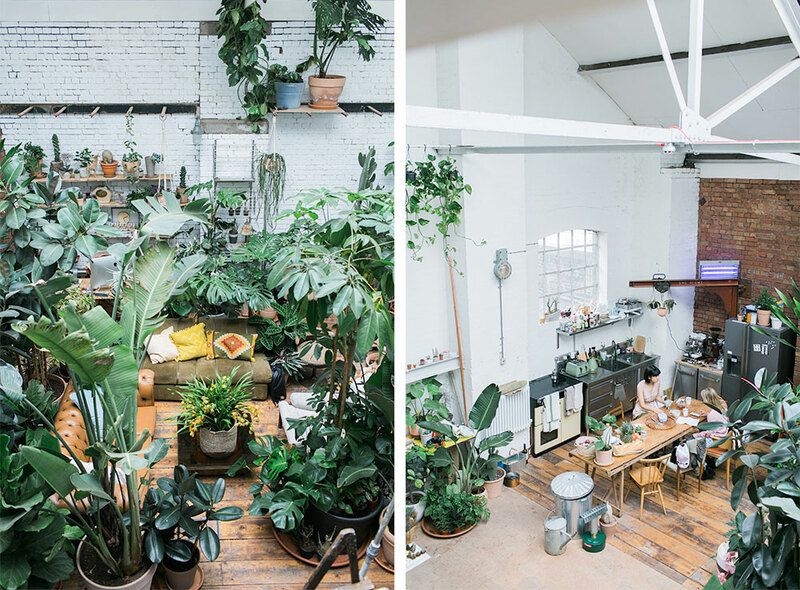 There will always be a focus on plants, but maybe we could add furniture and a coffee shop. I just want to prove to people that it‘s good to live with plants. 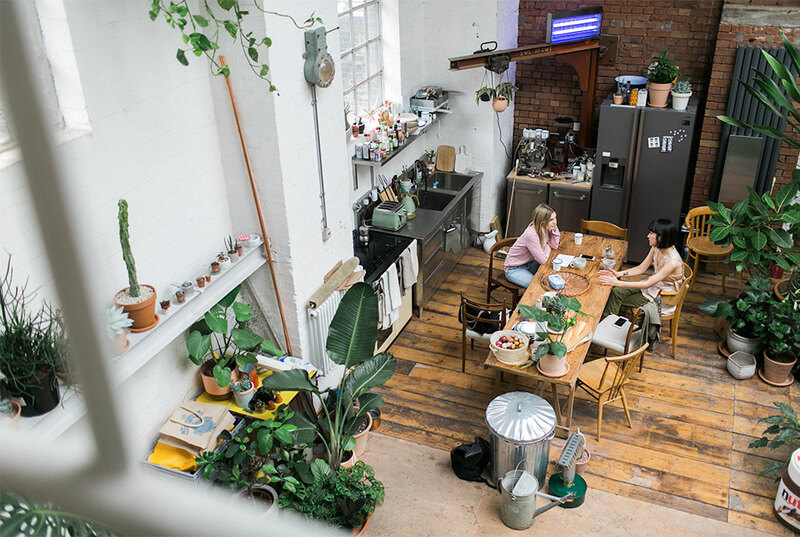 That was also the idea when we got this place: to inspire people and to show that it‘s possible to live with many plants. 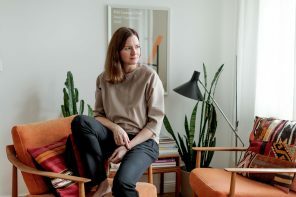 Sich das Wohnzimmer oder die Küche von einem Interior Stylisten umstylen lassen – wit & voi, ein moderner und bezahlbarer Interior Design Service aus Berlin, macht’s jetzt möglich. 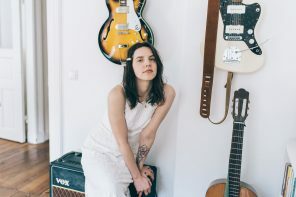 Wir haben die Architektin Julia White und die Produktdesignerin Silke Voigtländer besucht.